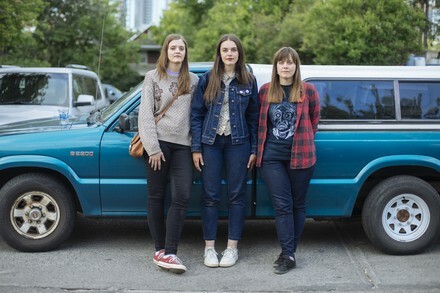 A trio of sisters, The Garrys make sultry, garage-inspired doom-wop. Crafting soft, dreamy harmonies with bright yet lazy guitar lines, the band will make you question if the swell of California surf actually breaks in Saskatoon. Gas up the wagon—this is the soundtrack to hot summer nights and drive-in movie makeouts.